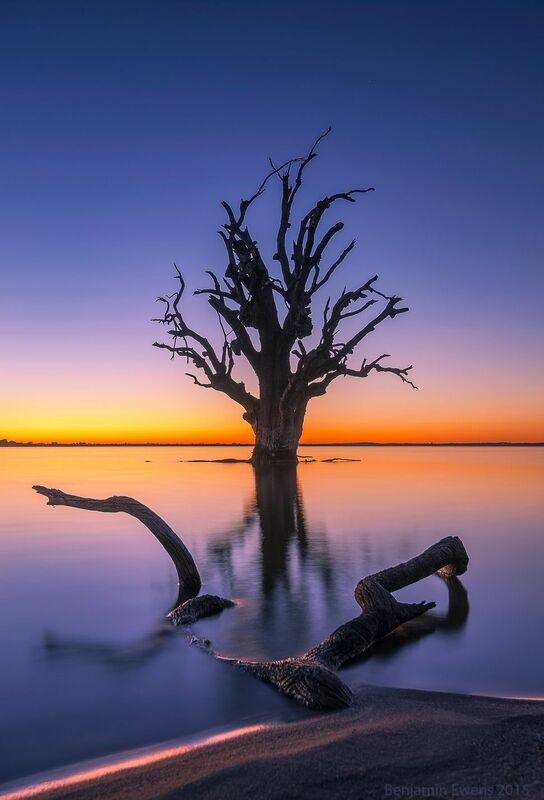 A Solitary Tree at Lake Bonney. This composition just jumped right out at me during an evening shooting on the banks of Lake Bonney, South Australia. I just loved the way the log in the foreground framed the reflection of the tree and led the eye into the scene. The clear skies provided the lovely blue backdrop to the scene and highlighted the natural beauty of the tree. via ABC OPEN: Solitary… || From Project: Snapped: Water. ← Powerful & Mysterious by Joseph McGlennon. Wow that’s beautiful. I’ve camped at Lake Bonney. Boy! You do get around Miriam, trust you and family had a pleasant Christmas. A popular spot in south australia. Researchers say that beauty is healing. This photo is a perfect example. Just breathtaking!